Wedding invitations are not like other invitations. If you have another party, you just hand write an invitation, leave your phone number as the RSVP, and wait for the calls to come in (or not, if you wrote "regrets only"). As long as you have the date, time, and include the "why" part of the invitation, you're good. 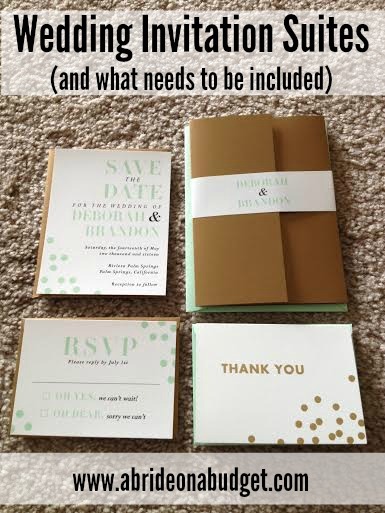 But with wedding invitations, the actual invitation is just one component. 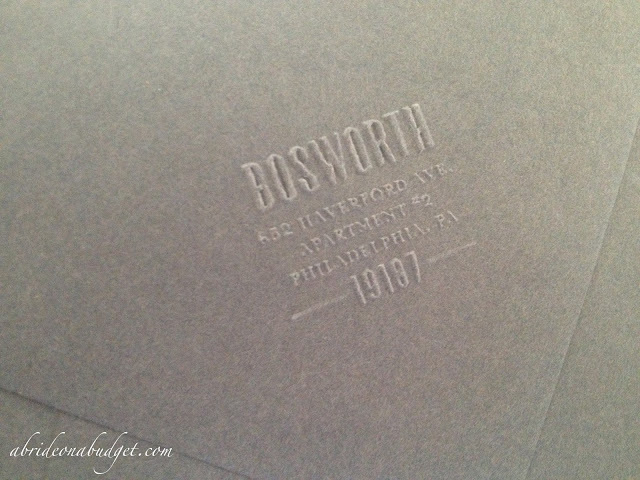 I got a chance to check out a few pre-printed invitation suites from Paper Source. These are not actual weddings that are happening, so don't pack your bags and try to crash the wedding of Deborah and Brandon because, well, you won't get there (partially because these are probably fictitious people but mostly because the Riviera Palm Springs isn't even at the location on the invitation -- thank you Google). 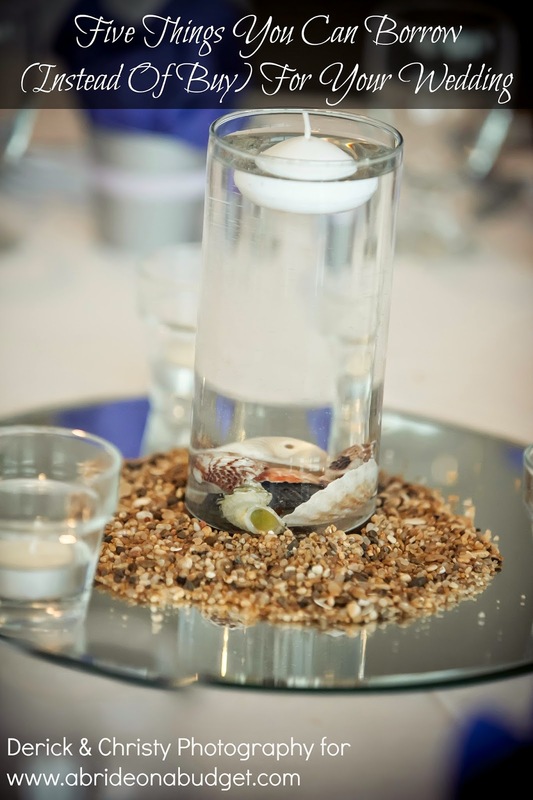 When looking at invitations, guests aren't just looking at the main piece of paper. They also have to look at all the "accessories" (like the RSVP cards and envelopes). Together, the full line is called a "suite" not a "set" (you can throw that around in your circle to feel special). Let's start with the actual invitation. What do you need to say on it? 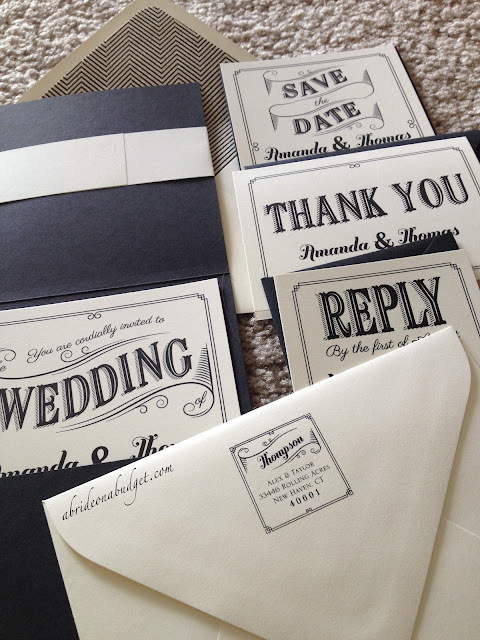 It is proper etiquette to address the RSVP envelope to yourself and add proper postage (most RSVP cards will require one standard stamp, but if you have a very small RSVP card, it will need to be hand sorted and will require extra postage). I had no desire to hand write our return address on the RSVP cards, so I ordered return address labels with our names and address to just stick on the front of RSVP envelope. If you search a bit, you can find return address labels that look more like stickers. Get those because they're bigger and will take up more real estate on the envelopes. Regular address labels are a bit too small to fit in the middle of the card. 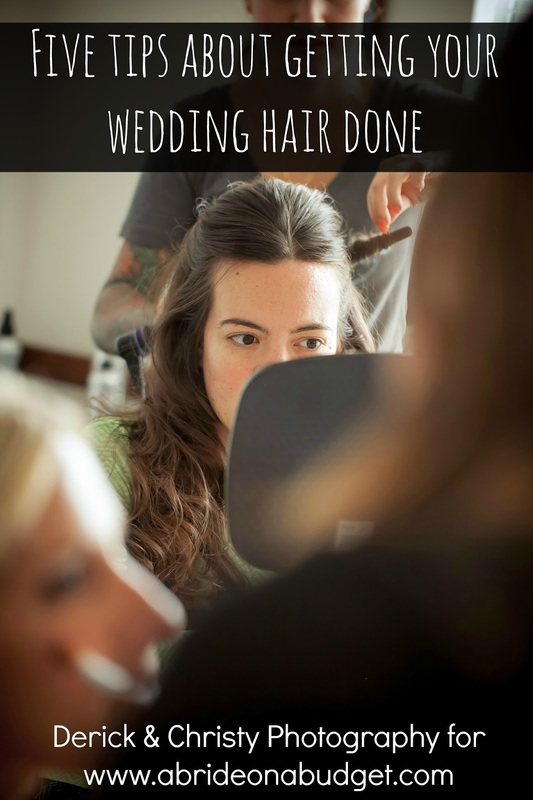 If you are inviting out of town guests, you want to set aside a block of rooms at a local hotel (most hotels will give you a discounted room rate and will not hold you responsible for unblocked rooms, especially since a month or so prior to the wedding, they will release any unblocked rooms to the public). If you have rooms blocked, include the hotel information (name, address, contact info, any group codes) in the invitation. If you are only blocking rooms at one hotel, you could also include directions from the hotel to the venue. Remember, though, the more papers you add into your invitation, the heavier it will be. Save yourself a little postage and stick the directions in the wedding welcome bags. Be aware of how much your postage will be. We've addressed this previously, but in case you missed that post, envelopes that are either oversized, undersized, or heavy will change your postage price. Plus, keep in mind that traditional-size envelopes will be sent through a sorter. 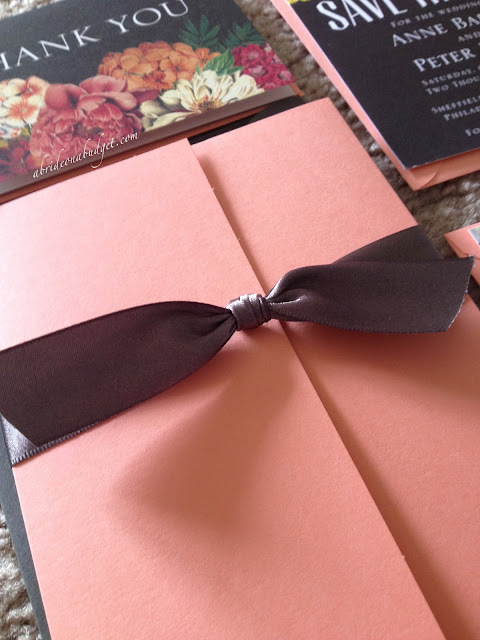 And that sorter doesn't care if you have a very pretty bow on the front of the invitation that might rip through the envelope. Nope. It will just sort the mail and your guests may receive something that looks like it was used as a bullet proof vest. Personally, I've received way too many invitations where the bow/jewel/bead, etc. punctured the envelope. This is (generally) the first indication I'm getting of how your wedding will be ... and unless it's in some rough neighborhood, a bullet hole isn't the introduction I want. My suggestion? Keep the BeDazzler back in the early 90's and go with a flat invitation. My other suggestion is don't hand write your return address on your actual invitations. One of the best things we did was invest in an address stamp. You can get them in ink or as an embosser. The embosser is more expensive, but you don't need to purchase ink. Depending on how often you plan on using this, you might want to pay more now and save later. We used our address stamp for our save the dates, our bridal shower thank you cards, our invitations. our wedding thank you cards, and two sets of Christmas cards (then we moved). When I created ours, I made sure to only use our first names so that we would be able to keep and use it for as long as we lived in the apartment. We've gotten so much use out of ours that I've decided from now on, an address stamp will be my gift at engagement parties. Best. Investment. Ever. 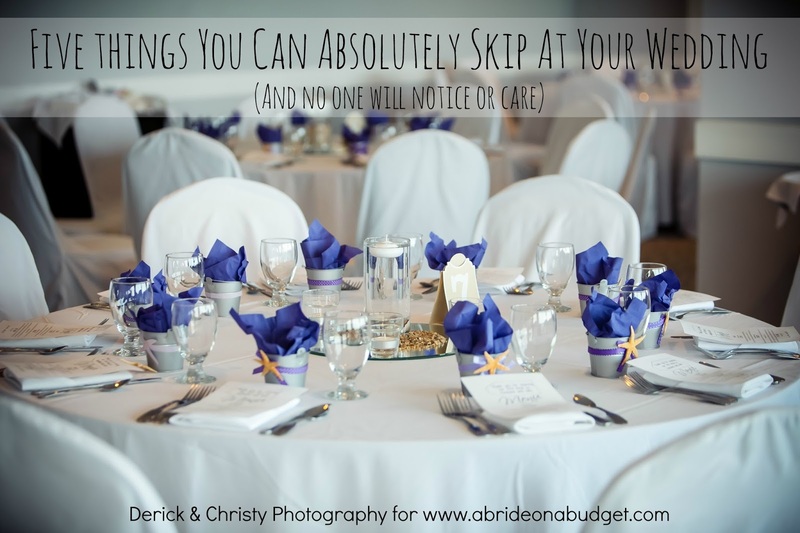 If you don't believe me, you can check out my post: 5 Times You'll Wish You Had A Stamp During Wedding Planning. 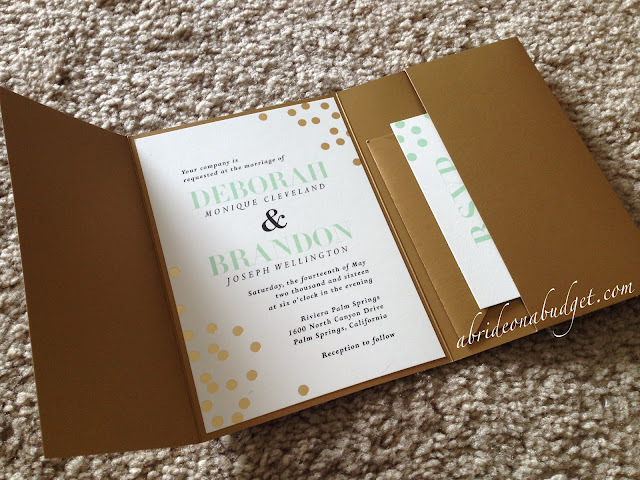 BRIDAL BABBLE: Did you include everything in your wedding invitation suite? So many options out there today. When we got married we only had a handful of choices and they were all super-frilly!